Ahh, homework. I believe homework should help students develop skills. I believe students should be asking questions, not answering them. I am aware that homework can be the source of confusion, power struggles, and anxiety (for both parent and child). Most days, the homework on the board will be, "Read for 20 min.," or "Read something you enjoy." 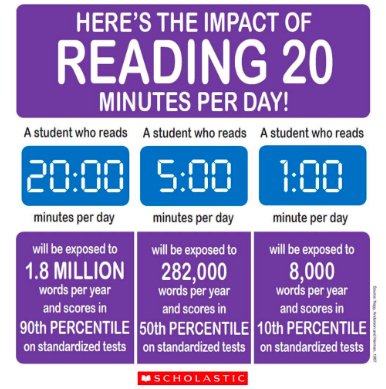 When students read, they will be adding to their knowledge of vocabulary, grammar, schema, ethos... "The analyses [between direct reading and reading growth] suggest that an increase of five minutes daily silent reading would be predicted to produce an additional month's growth on a standardized reading achievement test" (Allington, 31). We will use their independent reading to delve into the standards. These reading opportunities will be a big part of our curriculum. I will love using student choice to connect and learn together. (Here are two articles that help me decide what to assign for homework... Five Hallmarks of Good Homework and Assignments Students Own .) I believe homework should be authentic - something students would LIKE to learn, and not fabricated by me. I'm sure they'll have homework from other classes, and reading they do outside of class will add to their stamina to read required reading in 8th grade and beyond. (If students don't read at home what they love now, it will be much more difficult for them to read what is required of them in the future.) And until students are reading independently - a TON - they won't apply what we teach them about close reading. Once they are independent readers, they will be able to use texts they've read to help them develop as writers, as well. As Kelly Gallagher stated at a recent (2016) Illinois conference, "If volume doesn't happen first, it doesn't matter what standards we teach." Classwork will be made not of worksheets and questions I ask of students, but questions students ask, discuss, and process. The more questions students ask, the deeper their learning will be. Of course, if students do not finish classwork we do have, and the class has had ample time to finish, this will become work to complete at home. I will put the grade as missing (mi) in the gradebook, so students are reminded to complete it. If students have not completed the work up to our standards, it will be marked as incomplete (inc), and counted as an assignment that still needs to be completed. They are always welcome to come see me to get assistance on their work, as well. Classwork will also be a time when students read what is assigned. I've read much research that continues to say "struggling readers, the most in need of independent reading, simply do not read outside of school" (Kittle, 6). I cannot let students "fake read" their way through our class, and we cannot have discussions that they will skirt through without having read the text. 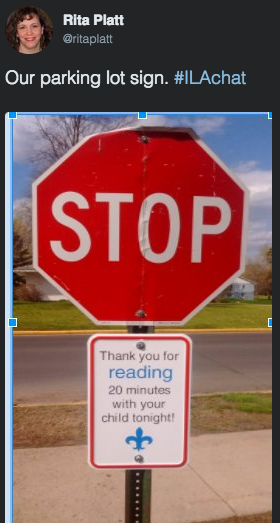 If our class text is more difficult than students' independent reading choices, I want to give them time to struggle - with my assistance. Because "giving them work that is beyond them is unlikely to help them catch up, and is likely to make them fall still further behind" (Willingham, 22), time will be provided in class to read the material required for the next day's discussion. My goal is to encourage reading, not discourage it. Allington, R.L. (2001). What Really Matters for Struggling Readers. Boston: Addison Wesley Longman. Kittle, P. (2013). Book Love: Developing depth, stamina, and passion in adolescent readers. Portsmouth, NH: Heinemann. Kelly Gallagher - TMS ELA teachers have been learning from his wisdom since 2015. Alfie Kohn's The Homework Myth.